SamSung is still unreliable, although with the most extensive network of support centers throughout South Korea . meaning : it is more important to buy an HDD that lasts, than one that is convenient to repair . Hitachi with Toshiba is now mostly contained in laptop or notebook HDD’s smaller in 2.5 inches, than full-scale 3.5 inches for main-frame personal computers . thus it is largely a choice between SeaGate and Western Digital – shortened from here on as WD . and the pro’s and con’s are endless, as with Apple iPhones vs.SamSung Galaxies . from personal experience : it is in the end, of personal style and favourites, with an un-supported theory that : the way you work and play in computers will result in which of the two manufacturer best suit you . caught between your favourite manufacturer above, and critical warranty below, are individual models, some of which do have periodical defects or necessary tweaks . so search before you buy, and better-yet : wait a few Months until a general verdict is out . capacity-wise : you get the most bang-for-the-buck buying one that costs W100,000 at any certain point in time . and best to sell about 6-Months before warranty runs out . as THE most-moving part inside a computer aside from cooling fans, warranty is the main issue in HDD hard disk drives . more-over, the included length of free-repair time-frame change constantly, so be informed . also, refund and exchange manner differs upon manufacturer, and also changes . currently WD exchange on-the-spot but SeaGate makes you wait on checking, or may even ask you to come back . warranty does NOT go by the date of your purchase, but commence from the manufacture date printed on the top surface label of the hard disk drive . also the name of the Official importer is added on an inch-size sticker . usually they have sliced opened a narrow inch-slit on the protective plastic sheet to insert that sticker . in case you do NOT have that sticker attached OR have brought your hard disk drive from abroad, the MAIN local delegate companies (usually ONE in all of Korea, where as there may be a couple – still, less than a handful – of Official importers) may care for your warranty depending upon your originating terms at the time of purchase . foremost : Official importers care for their hard disk drive repairs where their names are listed at manufacturers Official website . if the manufacturer has Official branches within South Korea, they may also care for problems that cannot be solved through importers . WD has just shortened their warranty from 3 to 2 years and more expensive raptor and black series from 5 to 3 years, while SeaGate and Toshiba offer the same 2 years . also, how they proceed for repair differs : as WD and Toshiba will exchange on-the-spot, while SeaGate will make you wait OR come back until they run their own test, where complaints abound on more dubious errors because it may NOT be found on first trial ..
Hitachi HDD drive general warranty is 30 Months in South Korea . MAIN Korean delegates : these are first-tier local-contracted companies you would go to, if other importers below have terminated their contracts OR if you have models no longer produced . with lunch break from noon for an hour . you have noticed from the addresses above – holding true as of NEW YEARS 2013 – ALL are located within YongSan Electronics Market district (explained in detail on TOP MENU of this BLog). wisely-so, for you should minimize relocation on a delicate computer peripheral such as HDD hard disk drives . and proved again, YongSan really is the wholesale distribution point of electronics in the Korean Peninsula . 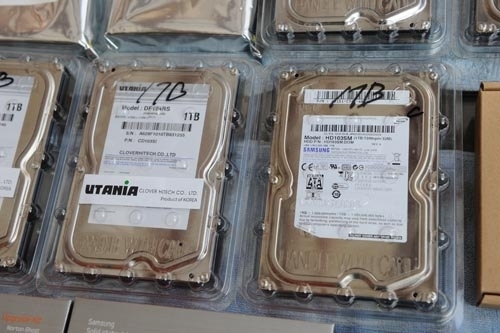 learn a lesson from this, and make the trip to pick-up hard disk drives yourself physically instead of ordering, AND bring it in yourself in case of repair – or rather exchange . depending upon your kind of job or pleasure, you may do it every Month or a Season, but at least a Semester . I do it before every travel . automatic back-up on Windows is fine, but I am talking about physical back-up, where you should copy ALL important files on a separate HDD hard disk drive, USB memory dongle, or better-yet : a separate computer in a different geographical location . although sudden collapse do happen, your hard disk drive will usually give out some sort of signal it is about to go AWOL . you will have some time even Months, if it begins to make cluttering noise . however, if your boot-up time is elongated as the system is trying to recognize the problematic hard disk, OR a drive suddenly disappears : check cable connection first . as main-board or mother-board errors happen much less than hard disk drives, you should doubt on the drive first . here you will have barely enough time to copy-out crucial files, and probably it would go dead before you save all, as file-copying or moving is an extensive task load for them . when your hard disk goes mad randomly accessing or even dead, you should set your priority : whether the contents are worth saving . if not, simply exchange on warranty . if it is mildly necessary : search and download a program to cure yourself . this is a long process, and only a portion may be saved . more-over, resulting files could be broken, renamed AND arranged in an incomprehensive manner . and if it is crucial : the largest company specializing is data saving, and reliable as it is the major Western Digital HDD importer into South Korea, noted above as Myeong information . it would NOT be cheap but they have a few branch locations . now-and-then comes a hard disk model that needs to have firmware updated OR access compromised, and will come into light a few Months following Official release so buy a popular model at the time . defragment your drives regularly . NOT automatically with a dedicated program as it will work constantly, but manually depending upon your use . there are only a handful of hard disk manufacturers but, even a good decade past the Millennium : SamSung will give-out roughly THREE times more errors than others . so evade this, even though they offer exemplary customer and product support, for the whole point is to buy a sturdy hard disk drive . other than that, Western Digital, SeaGate and Hitachi, then Toshiba for laptops or notebooks are almost the same, although Yeah’s and Neh’s ever continue as debates for Apple iPhone or SamSung Galaxy . what might effect however, is your computer-using style that works well with certain manufacturer OR model . in this aspect I have a friend whose hard disk often goes dead . 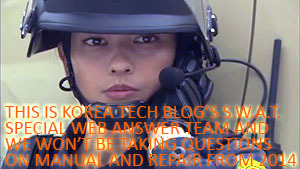 do you know where to repair external HDD in seoul?